A beautiful ball gown style tulle dress by Sassi Holford. The dress has a flattering cowl neckline with off the shoulder straps, an internal corset and a satin band around the waist. I am 5' 7'' and wore 2.5 inch heels. I also wore a veil which I am happy to include within the price if you would like. 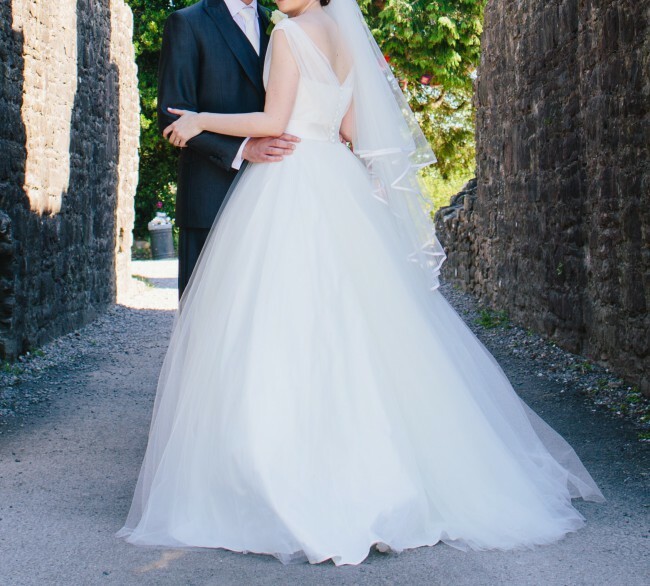 Dress and veil have been dry cleaned at a cost of £159. 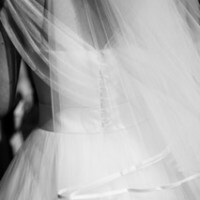 There is a small tear in the tulle at the back of the dress, just below the satin band. The tear is not visible, it was torn halfway through my wedding day and nobody noticed. If this is a concern I am more than happy for the dress to be viewed before bought.